The next time you need to get your oil changed, bring your vehicle to our Honda dealer near Goshen. Middletown Honda’s team of professional mechanics will have you in and out in no time. Instead of trying to rely on the big chain places, rely on the personal touch and skilled mechanics at Middletown Honda. Instead of trying to guess when we will be able to get you in, book your appointment online ahead of time or give our service department a call. That way, when you get here, the work starts immediately and is completed as fast as possible. Check to see what kind of service specials we are running before you bring your vehicle in. We take our already competitive prices, and then try to help our customers even more. 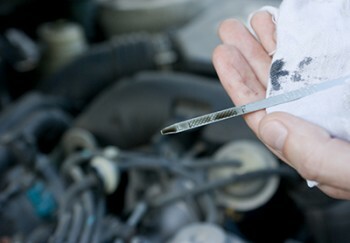 While we may not always be offering oil change coupons, you may see something else to help you save. Print out the coupon and bring it with you the next time you’re at the dealership. We pride ourselves on the quality of our staff. If you want to work with a team that is friendly, knowledgeable, and completely committed to your satisfaction, work with us. Our mechanics are specially trained to work on Honda vehicles. When they’re changing your oil, they’ll notice if something seems off mechanically. You might not get the same level attention at a big chain store. We are conveniently located at 520 Route 211 E, right in the heart of Middletown and less than 10 minutes from Goshen by taking NY-17 West. With service this good so close to home, why take your vehicle anywhere else? Our team is ready to help if you’re in need of an oil change. If it’s been between 5000 and 7000 miles, pay us a visit.